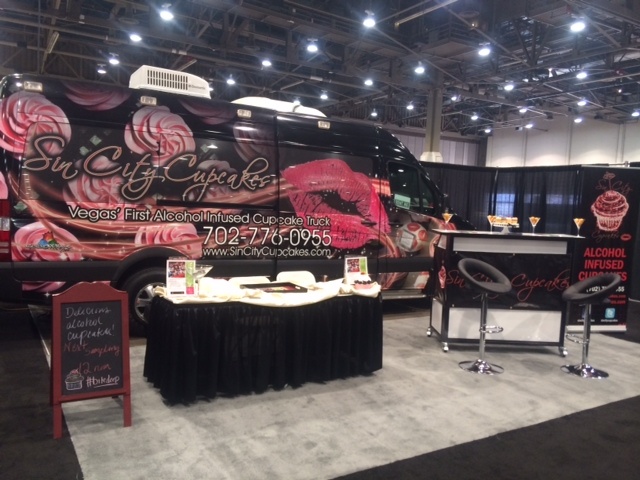 Sin City Cupcakes was honored to be back at Nightclub & Bar Show again this year! One of our favorite industry shows in Las Vegas! 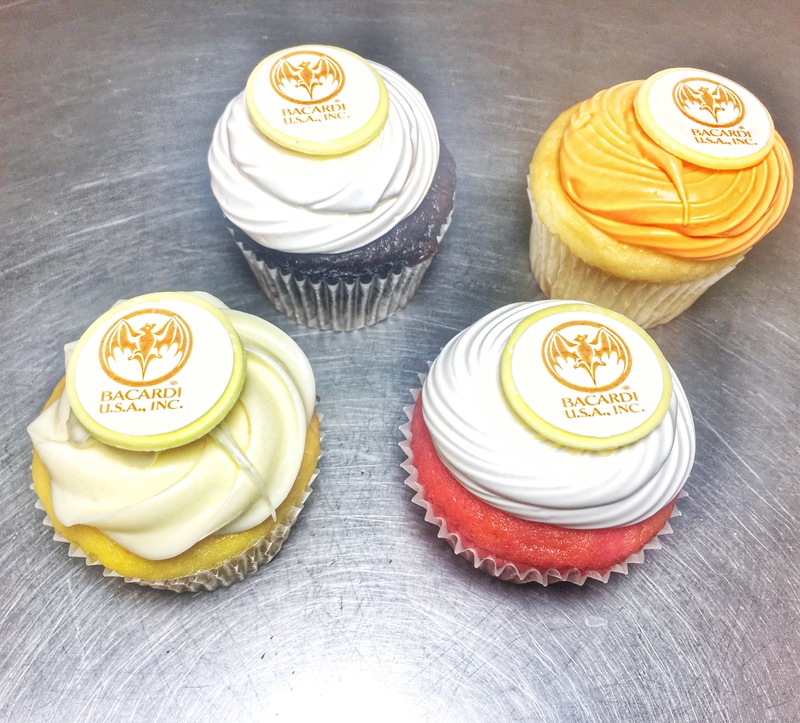 We brought our Mercedes-Benz custom built gourmet cupcake truck to the show which is available for corporate events, private parties, or any other needs! Sin City Cupcakes at Nightclub & Bar Show in Las Vegas March 25-26. We set up our booth, which was right next to the main stage, and welcomed all the attendees coming from all over the world. It was an absolute pleasure meeting so many people and networking with so many people during the show! 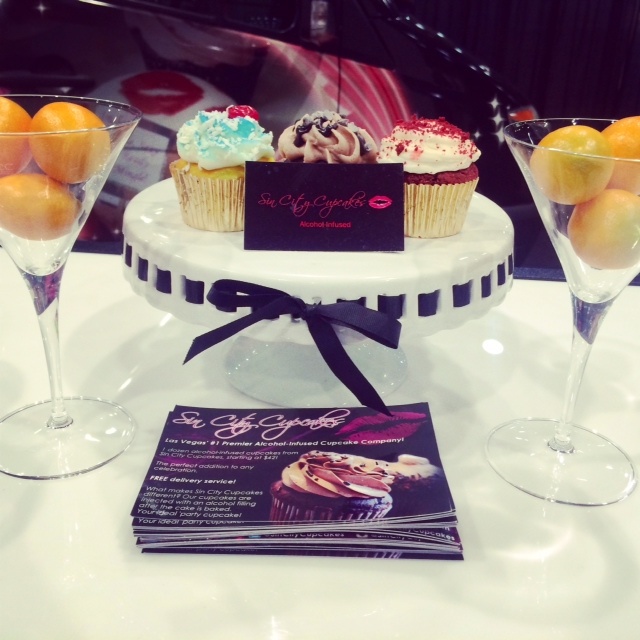 At the Nightclub & Bar Show, Sin City Cupcakes debuted our newest product: Shippable Sin City Cupcakes Alcohol Filling! 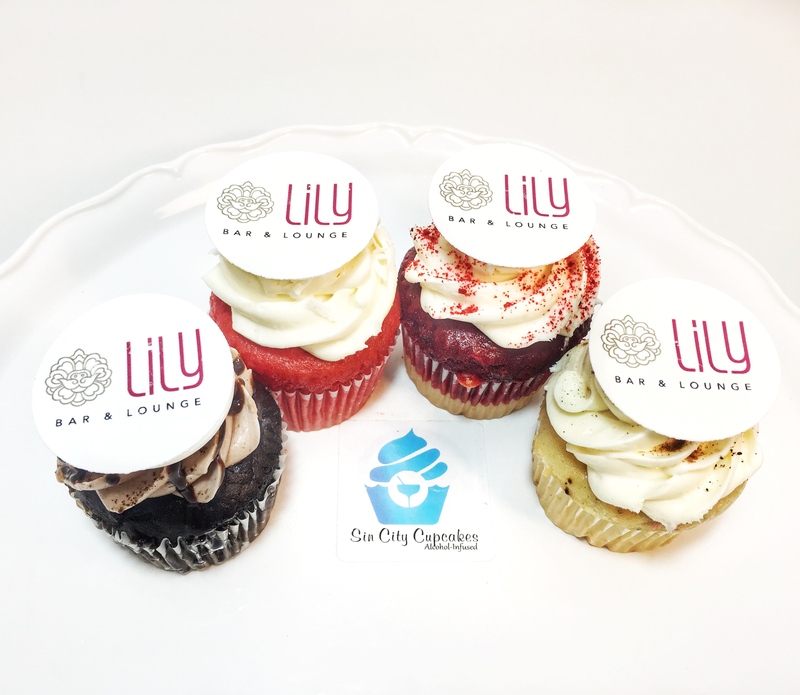 Many nightclub/bar owners were ecstatic for our newest line available to make their own Sin City Cupcakes within their own establishment, which guarantees the highest level of quality. We also had some of our infamous Jalepeno Margarita DIRTY TEQUILA cupcakes at the Dirty Tequila booth under the ‘Emerging Brands’ section. We love pairing such a tasty cupcake with a great tequila with a kick! The attendees went crazy over the pineapple and cinnamon infused tequila, then to follow with the jalepeno margarita cupcake from Sin City Cupcakes. 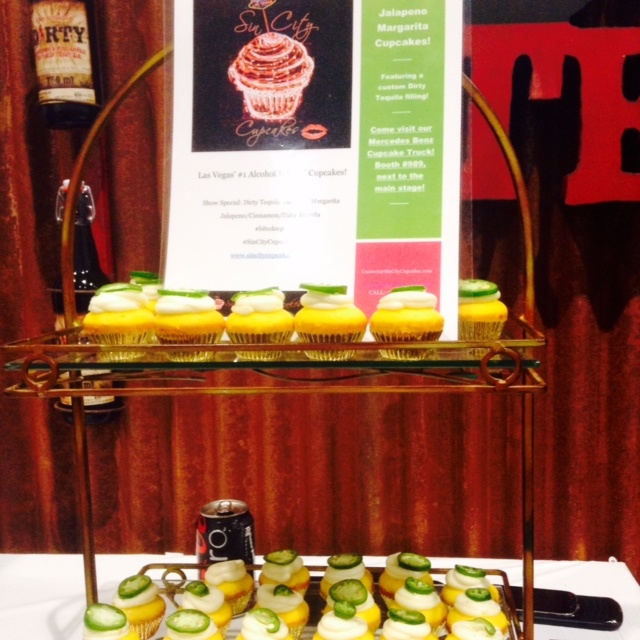 Jalepeno Margarita cupcakes made with Dirty Tequila in the ‘Emerging Brands’ aisle at Nightclub & Bar Show. Sin City Cupcakes also offered bite-sized samples with our MINI ALCOHOL CUPCAKES (which we currently offer for sale) in the following flavors: Chocolate Wasted (chocolate & vodka), Mango Margarita, Itsy Bitsy Yellow Polka Dot Bikini (cherry cheesecake & coconut rum), and the Red Velvet Backseats (red wine cabernet). Our delicious samples disappeared so quickly we had to schedule sampling at the top of the hour, every hour! We want to say thank you to everyone who participated in Nightclub & Bar Show! We loved meeting all the attendees, exhibitors, and special guests that came into Vegas just for this immaculate show! We can’t wait to see you again next year! A big thank you to John Taffer and Taffer Media Group for putting on another great event! Artist/DJ Lil’ Jon coming by the Sin City Cupcakes booth to show support.